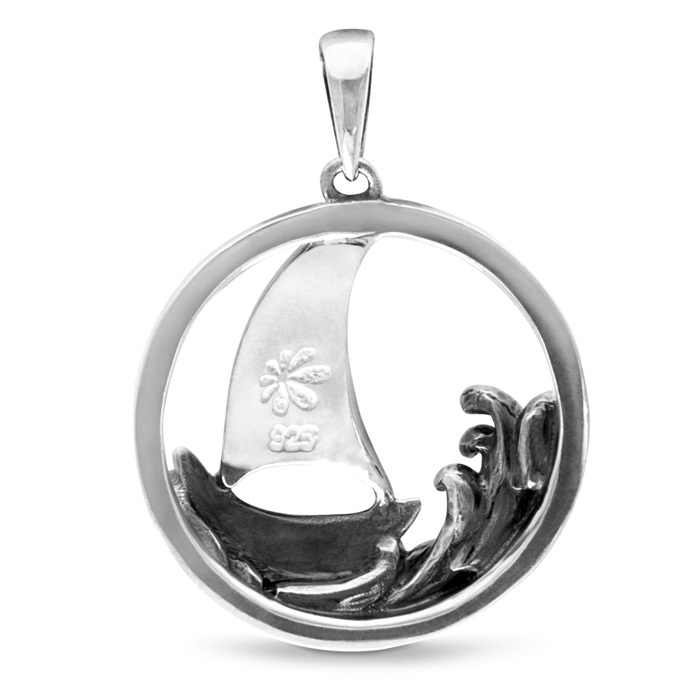 Show your love for the sea and the boating life with our exquisite Sailboat necklace. 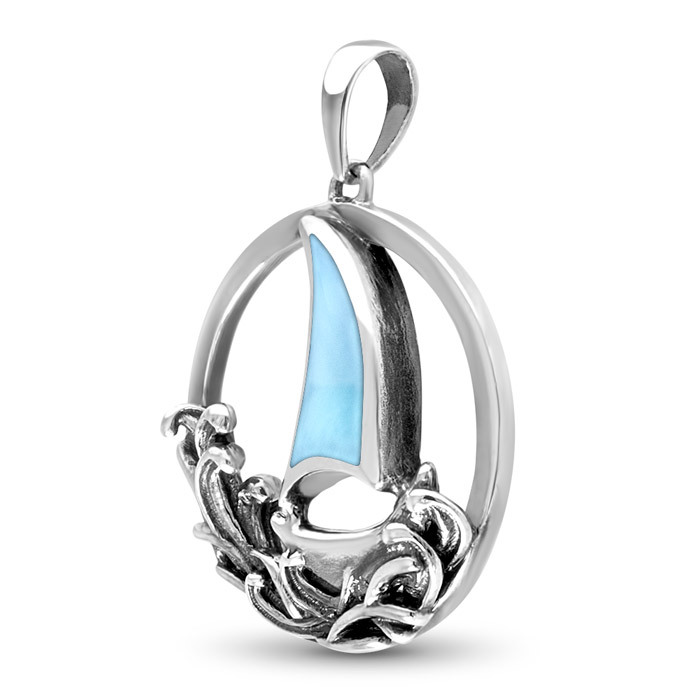 A carefree boat of sterling silver, with a sail of larimar, sits atop waves of oxidized sterling silver in this unique piece. Product Details: 5x11mm larimar gemstone with white sapphire and sterling silver. Overall size is 20mm round. Comes with an adjustable 21” sterling silver chain with an easy, sliding mechanism and lobster clasp that you can set to the perfect length for your look! Every piece of larimar contains slightly different hues, color saturation, and markings that give it its unique and compelling qualities. As a result, the larimar in your jewelry may appear slightly different from the larimar depicted online.